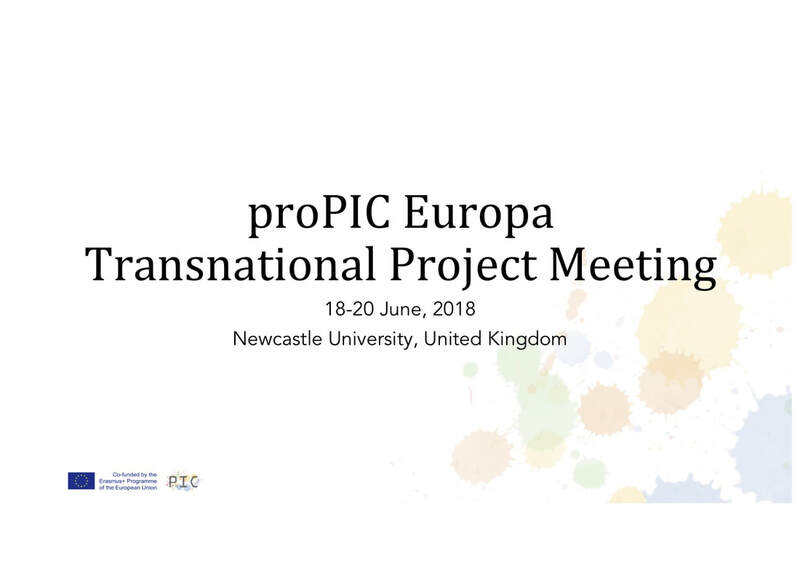 From Monday (18 June 2018) until Wednesday (20 June 2018) the proPIC team met again at the University of Newcastle upon Tyne in the UK. After a short overview of the development of the project as well as the general project management, the focus soon shifted towards the content. On the First day the partners presented each other the implementation of the developed study programme at their university. The evening was spent at the riverside of Newcastle in a nice Italian restaurant. On Tuesday the partners worked in international pairs to give feedback on the interactive tutorials produced by the different partner universities. In an open and very constructive discussion the content of the tutorials was adapted and the order of the tutorials was rearranged to fit to the study programme. After discussing the organization and the financing of the study week, the partners headed to Durham. Where Paul Seedhouse gave them a tour of the city as well as the cathedral. After talking about the study week in more detail and the implementation of the ePortfolios in the project, Mareike Oesterle, Isabel Murillo Wilstermann and Azahara Cuesta García presented their PhDs. It was a very productive meeting and great seeing everyone again. A big 'thank you' to our hosts in Newcastle - Paul Seedhouse and Elizabeth Hidson!